This three bay, two-story brick structure is constructed of Common Bond brick with six stretcher courses alternating with one header course. The stone front on the first floor is pierced by the main arched windows that are accented with keystone. 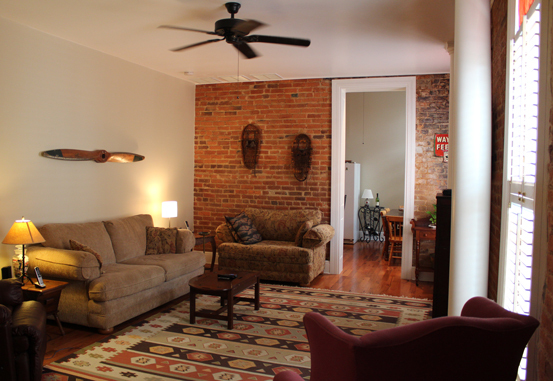 The second floor windows have stone sills and are highlighted with segmental brick arches. A tin parapet has brackets decorated with acanthus leaves. 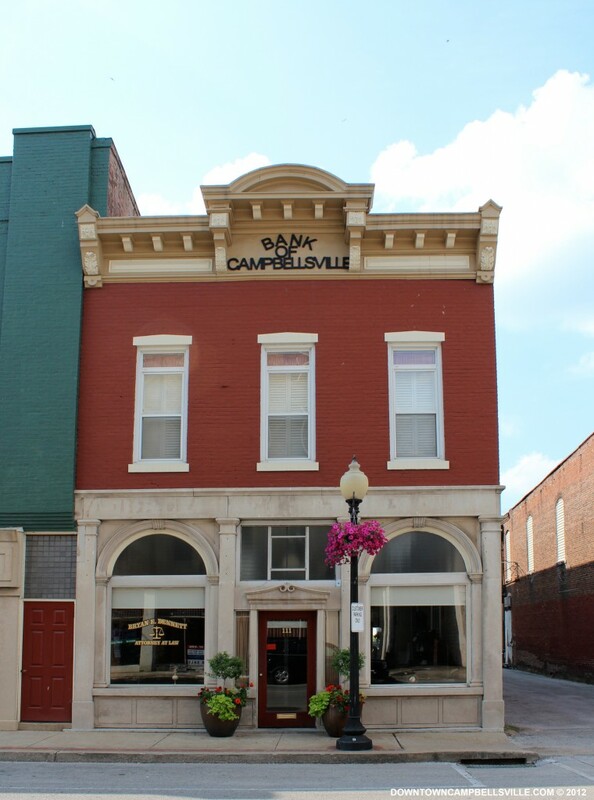 This building housed the Bank of Campbellsville and the Telephone Exchange (1915, 2nd floor). The bank failed in 1939. The building was then sold to the Taylor County Federal Savings & Loan Association who used it until 1965. A clothing store and Margaret Ann’s Gifts and Flowers have since occupied the building. This building is in scale with its surroundings which represents one of the most attractive and least altered front facades on Main Street.